A space simulator created by Chris Roberts and the Cloud Imperium Games developer team. The plot of Star Citizen is set in the 30th century. Star Citizen is Chris Robert’s first project after a ten-year hiatus, and a debut game from his new studio Cloud Imperium Games. The developer of such titles as Wing Commander and Freelancer set off to combine the best features of space-sim games with the potential of modern-day PCs and CryEngine 3 technology. This goal could be realized mainly thanks to the support of fans, who invested dozens of millions of dollars in the game, making it the biggest crowdfunding project in history. The game is set in 30th century, when the humanity expanded their territories into space, encountering various alien races on the way. At the same time, mankind decided to go back to the political, social, and cultural system used in the Roman Empire. Thus a common political entity was created called United Empire of Earth. To earn a citizenship in the UEE, one has to complete military or civil service, or buy it for money earned as a space merchant. There are also humans who are deprived of this status, including pirates and other criminals. You play as a starship pilot and traverse the far corners of the universe, where you can fight enemies, complete various missions, transport lucrative cargo, engage in trade, etc. As you gain experience your hero’s skills improve, and the wealth you earn will help you modernize your ship or buy a new one. There is a wide selection of spacecraft, starting with fighters or unarmed civil units, through luxurious freighters and frigates, to cruisers and carriers that require cooperation of several players to properly maneuver. The game combines elements of spaceship simulation, shooter, cRPG, and even economic strategy. Space battles focus on close-range skirmishes that employ a realistic physics engine. Most of the time the players spend inside the cockpit, although it is possible to leave the machine and walk around (in FPP mode) planet harbors, starbases and the interiors of large ships. It is also possible to board hostile units – at these moments the game turns into a first-person shooter. 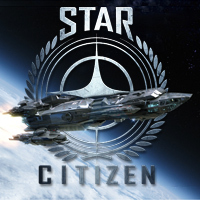 Star Citizen offers two gameplay modes. Squadron 42 is an offline single player campaign. The titular Squadron takes some features after French Foreign Legion – it is an elite force, tasked with the toughest jobs, and joining its ranks is considered a great honor. This mode offers a classic campaign, like in Wing Commander, with extensive narrative, carefully designed missions and battles, and interesting non-player characters voiced by famous actors. Squadron 42 also offers cooperation of players and, traditionally, multiplayer battles. For fans of MMO games there is also expansive Galaxy Mode, staging a massive universe populated by thousands of players. Here you can choose your path of career, deciding between trading, becoming a mercenary or a criminal, etc. It is also possible to buy real estates. Star Citizen’s meticulous visuals come as a result of using the highly-advanced CryEngine 3 developed by Crytek company. The developers also used a well-polished physics engine, allowing for accurate recreation of the behavior of objects, vehicles, and devices, even taking into account varied gravity. It is noteworthy that Cloud Imperium Games invested in their own motion capture studio, which they used extensively, mainly for the purpose of Squadron 42 story campaign. Star Citizen is based upon a hybrid business system, similar to the one featured in Guild Wars 2. This means the game is a one-time-purchase product, although players can use optional microtransactions to get various items, modifications, or services, which, however, do not give unfair advantage over others. Expectations: 9.1 / 10 calculated out of 1402 players' votes.